Video of Could Alien Skin Exposure X4 Be The Best Lightroom Alternative? Every photographer is familiar with Adobe's Photoshop and Lightroom software. Over the course of 20+ years, it has firmly secured its place as the industry standard for editing and culling photos and processing raw files. For years, these two programs were offered as standalone products that any photographer could buy once and use for years without the need to update. All of this changed back in 2013, when Adobe shocked the photography community by announcing they would end their standalone software and transition the entire Adobe software catalog to a subscription service called Creative Cloud. As I write this article, you can currently subscribe to both Adobe Lightroom and Photoshop for $9.99 a month. While spending $120 a year might not seem like a big investment for professional photographers who depend on this software day in and day out, what if you are a semiprofessional photographer or an amateur photographer who only edits photos a few times a month? What other alternatives are there if you don't want to sign up for the software subscription model? The short answer is there are only a few full editing suites available. 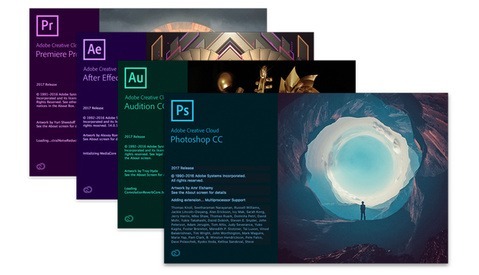 The second most popular raw processor is probably Capture One, but at $299, you would get a full 2 1/2 years of Adobe's software before paying off the license-free Capture One software. The other player in this space is Darktable. This open source software is free to download and does run on Linux (if you care about that), but also has a much higher learning curve than the other options. For the sake of this article and video, I'm only comparing Lightroom and Exposure, because they are the same price (for Lightroom 6's perpetual license) and have the most similar user interface. I think I speak for a lot of photographers when I say the biggest hurdle when changing camera brands, lighting systems, or software suites is minimizing the learning curve. I've been a user of Alien Skin's Exposure Plugin for Photoshop for about 10 years now, and I am super familiar with their massive library of film stock emulators and tonal filters. If you've never used Exposure within Lightroom or Photoshop, I highly recommend downloading a trial copy and seeing how useful these filters can be in your existing workflow. When it was time for me to open the full standalone version of Exposure X4, I wasn't sure how easy it would be editing a raw file from the beginning compared to Lightroom or Photoshop's Camera Raw Engine. 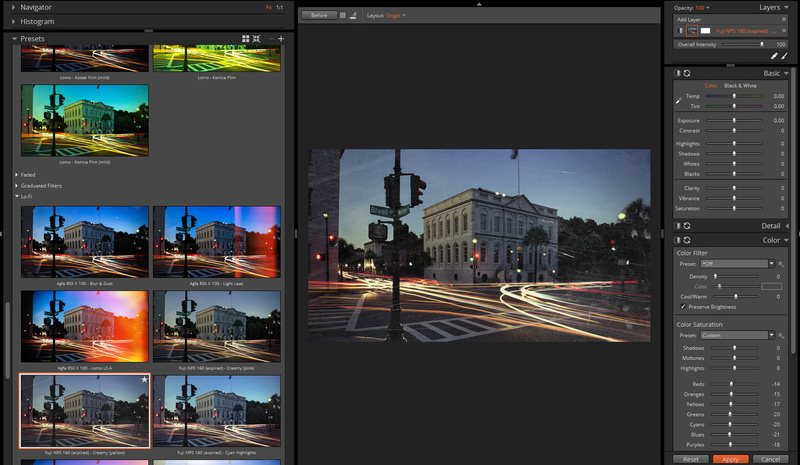 What I immediately noticed upon opening Exposure X4 was that it looked almost identical to Lightroom CC. It was shockingly similar! All of the windows, panels, sliders, and organizing labels were almost identical. This made the first 30 minutes of using the software super easy with little frustration. 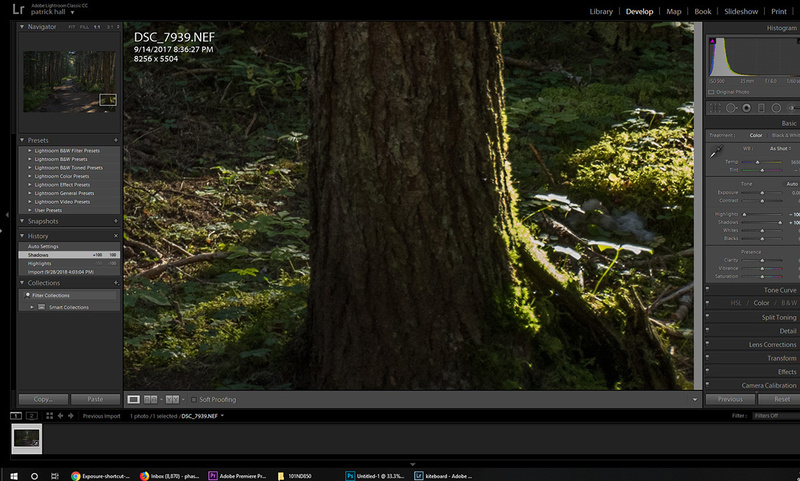 Unlike Lightroom, Exposure X4 loads your previews much more quickly, without the need of importing every single file. It's almost like using Photo Mechanic. Now that I've used Exposure on a few different machines, it also seems to be faster at processing my files than Lightroom, which has been notoriously slow despite how much hardware and resources your computer has on tap. I've yet to edit a full wedding on Exposure, but I have total confidence saying it would cut down the edit time by at least 10 percent if not more. I admittedly have a lot still to learn and discover in Exposure, but my initial response is this software makes the transition away from Lightroom about as easy as you could imagine. Whether it converts raw files better than Capture One or even Darktable is up for debate, but it is certainly easier to use immediately after an installation if you are familiar with Lightroom. Alien Skin first appeared on my radar back in 2008 when I was looking for a way to give my wedding photos a unique final process. The software has come a long way over the years, but at the heart of Exposure is a massive set of film and video filters that can instantly give your photos a specific look with the click of a button. Some of these filters include black and white films like Agfa APX, Kodak T-Max, and Polapan. If you want to make your photos look like classic color and slide film, you have dozens of presets for Fuji FP, Fuji Velvia, and Kodak Portra. There are also tons of other effects like infrared film stock, Lo-Fi films, cross processing, color fading, and cinema effects. 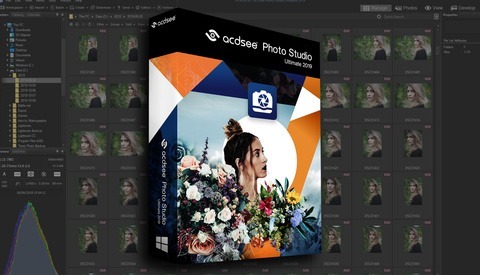 These are all highly customizable and can easily be used to batch process thousands of photos or fine-tuned for your final selects. Of course, Lightroom has some presets built into their software as well, but they are much, much more general and of course accessible to everyone who uses Lightroom. That being said, you can download thousands of presets for free online and import them into Lightroom, but if you want a one-stop shop for quality film presets bundled all in one piece of software, Alien Skin's Exposure is definitely the overall winner here. One thing that always frustrated me with Lightroom was that I could not apply effects and edits on different layers. Instead, I still had to rely on Photoshop to tweak specific parts of an image, blend multiple exposures, and maintain a well-organized, nondestructive workflow. Now that Exposure has introduced a layers panel, you almost get the best of both worlds with Lightroom and Photoshop all in one piece of software. I say "almost" because the implementation of layers in Exposure is still a little clunky and requires a bit of muscle memory to master the process, but overall, it is a feature I think will help distinguish it from other similar editing suites. Unlike Lightroom that requires you to add gradients, masks, and retouching all to one single file, Exposure offers the ability to create different masks for each of these edits. Not only does this make it much easier to control each step of your edit in a versatile way, but it also helps you stay organized when revisiting files and tweaking nondestructive edits. I do wish Exposure would eventually allow you to align and blend multiple images all within one piece of software, but for the time being, having any sort of layer support within a raw editing suite is pretty exciting. Perhaps the most important element of any raw processing software is the overall rendering quality. As you know, every single piece of software interprets the proprietary raw information differently. Sometimes, one piece of software does better with shadow recovery and highlight suppression, while another gives you much more realistic colors. I have used Lightroom, Photoshop, CaptureOne, and now Exposure, and I have to say, each one of these pieces of software does render raw files a bit differently (Photoshop and LR are almost identical these days). Over the years, the gap between the final renders has narrowed significantly, and one could argue that the differences are as close to splitting hairs as possible, but they are indeed different. I wound up editing a handful of images in Exposure and Lightroom side by side and found that generally, Exposure did give me a little more latitude in the shadows and highlights (though not always), and the sharpening settings were fairly different too. With each photo, I was able to get the two images looking 98 percent identical. You might view this as Exposure not being much better or worse than Adobe's Raw Converter, but I see it as a big win for any software facing off against the industry standard. Overall, I can't say I see either editor as being definitely better than the other, but it is nice knowing you won't lose out on quality regardless of what option you choose. Even though I have been a fan of Alien Skin's Exposure plugin for Photoshop, I was more than a little skeptical when it came to using their all-in-one software for my initial raw edits. I have been using Lightroom as my sole raw editing software since Lightroom 1, and the thought of replacing it with another piece of software (even the highly praised Capture One) has always filled me with anxiety. I started my career as a wedding photographer and had to edit dozens of full weddings each year. Lightroom, although super slow at times, was the industry standard for culling, flagging, and editing thousands of raw files shot throughout an event or wedding. Up until a few years ago, there really wasn't another option available that offered all the features that Lightroom offers. Now that Adobe has completely transitioned into the software leasing model, it's no shock that software alternatives like Capture One and Exposure X4 are becoming more popular among photographers. Since I already subscribe to Adobe's Creative Cloud for Photoshop and Premiere, I doubt that I'll completely abandon Lightroom altogether. However, since I have multiple computers and Adobe is very strict on how many instances their software can run across multiple machines, I can easily see Exposure becoming the main editing suite on my travel laptop. 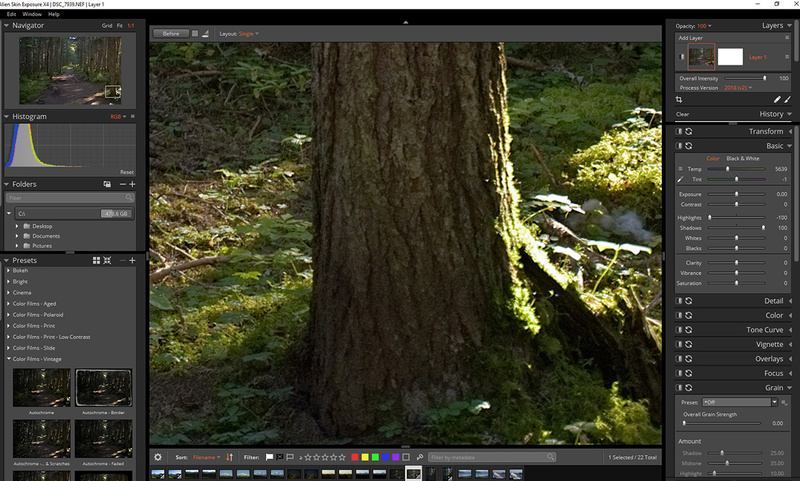 I will, of course, continue to use the Alien Skin Exposure X4 plugin for Photoshop for my final edits. If you, however, have not committed to any raw editing software, or if you are looking to pull back from some of your monthly subscriptions, Exposure X4 is about as perfect of a Lightroom replacement as you could find. In fact, it might actually be better than Lightroom! My suggestion is to download a free 30-day trial of Exposure and see if it meets your own photo editing needs. Download a free 30-day trial of Alien Skin's Exposure X4 here and be sure to use the discount code "Fstoppers" to save 10 percent off your purchase of the full editing suite. such an achievement I bet your family is so proud. Nice. How are they with new body updates? We release regular updates which add additional raw format support. How quickly we get to them depends on how different they are from other cameras from the same manufacturer. It's typically 1-3 months after we can get our hands on files to test with. Do you support NEF files from Nikon Scan and Linear DNG RAW files from Vuescan? or do you only support formats comming straight from digital cameras? Thanks for the article. After going to the Exposure X4 website, I saw the pricing for the software is $149, and $99 for an upgrade. Do you know how often they plan to upgrade the software? If it is at least once a year, and you want to remain current, the resulting cost would be more than you would pay for a CC subscription. Also, do you know if they plan to offer a mobile version, so your edits can sync on an iPad? Full upgrades are released every 12 months or so. The last few years we've done a free feature update in the spring, too. Affinity and Exposure address different needs. While superficially they are both image editors, they're very different tools in that Exposure, Lightroom, Capture One and similar tools are more about end-to-end workflow for sets of images, not just editing one at a time. Wedding photographers especially, but also photographers that shoot large series of images benefit from being able to pull in batches of images, and then apply tweaks to one or entire sets of images, like pulling your exposure up 1/3 of a stop for an entire range, etc. While their in-depth editing abilities aren't up to the level of Photoshop or Affinity, you can typically pick an image and edit it in an external editor, and those changes are then reflected back in your original program (this is called round-trip editing, FYI). Since this is a sponsored post, I'm going to go out on a limb and say it is. Moving to Capture One because one can purchase the software is nonsense as Capture One gets a new version once a year and that upgrade alone is more then the 120 pr year that Photoshop + Lightroom will cost. There must be a better argument then subscriber model to change. This software is a less but you still must pay for upgrades. If money is the issue Apple users will be fine using Photo and Raw Power from gentleman's coders for 20 dollars. While both Mac and PC users can use Affinity Photo for a little more. On Mac still also with Photo. Neither of those chare for upgrades. I was thinking that too, since upgrades are not free it becomes as expensive as LR. Upgrades are $99, so over the long run Exposure is less expensive. You can sign up for our mailing list to hear about our occasional special promotions, too. I get emails from your company regularly and it seems upgrades are about once a year. That means it on par with LR price. Following this formula, buying and keeping upgrading for three years is $349 ($149 plus two $99 upgrades) LR and PH will cost me around $360. I hate subscription but so far it makes sense economically (so far), especially when PH is part of it. However, LR cons like speed could be an incentive. But for me it still more economical going with Adobe LR+PH bundle. Upgrades and updates are important and as a user I would want to. Besides, to compare the two packages evenly I include upgrades. And thats where you fail... because many users do not need to upgrade every year, and many users don't... They upgrade when they need to. I know of people that still use Lightroom 5.7 and PS CS6. The point is that we have the choise to upgrade when we want to, not when Adobe or some other company want us to do it. And to say updates and upgrades are "important" thats bias, its important if its security updates, but its not important for a user if the update or upgrade only include camera profiles that this user doesnt need, therefore, every user should be able to choose when to upgrade his/her software. You have a point. I was tempted many times to cut the Adobe sub and install my copy of LR5 back again, it was one of their best release. However, using Nikon D750 and soon the D850 I am not sure that version has the support. Anyway, I will definitely take a look at Exposure and other LR alternatives. Last Nikon LR6 support is the D850, And I think you need LR6 for the D750 to... but of course, you can convert your Nikon RAW files with the free ACR converter to DNG and then import them to LR5... There will be no profiles for the cameras, but is the profiles actually needed? While I find the slowness and finicky nature of Lightroom almost intolerable, the one thing that keeps me married to the software is its fantastic Lightroom Mobile functionality. I can cull, preview and share entire shoots anywhere which is as simple as clicking a box upon import. I don't know any program that offers a mobile option this robust. I've been using Exposure since X2 and started using it before I drank the Adobe Kool-aid again. Its good and for some reason I always wind up in Exposure when finishing portraits or anything with people in it. The way it works with layers is awesome, Luminar caught on and ON1 is following suit too. Adobe is loosing ground and rapidly it this area. LR isn't flexible enough and PS as awesome as it is, it is way overkill for most. Not much middle ground in the Adobe camp. I find Exposure to not handle highlight and shadow recovery as well as LR or Capture One. You can get it there but you'll be heavy into the curves. The great thing about all different programs is, you can now find what is right for you now that they are catching up (or in some cases surpassing) what Adobe has offer us. I'll be curious to see how well ON1 2019 stacks up once it is released. Highlight and shadow recovery are something we worked on a lot in the Exposure X4 release. Give the new version a try and I think you'll be happy with the results. I absolutely HATE the cataloging system of Lightroom. It was the source of so much frustration and mistakes when backing up and restoring catalogs (name changes don't correspond etc.). Speed importing, or if not needed (as for X4) even better and speed when working on photos. I am currently;y working on a family shoot and it is painful how slow it is and how long it takes for things to render. My working catalog now as just under 14k photos, not much for LR as I understand, and still it is at times unusable. I love alien skin exposure for the film presets (as PS plugins), haven't tried the raw workflow..
Perhaps on Windows, where ACDSEE is an excellent product, but the Mac version is really substandard. Sounds like good news. I've always stayed away from Adobe as I could never stand their business practices. I went from Aperture to Capture One Pro (nice, but $$$), and Affinity Photo ($50). CapOne doesn't choke on those 36mp files on import and gives quick, accurate views in tethering. Yes. Period. Been using it for the past year and love it. 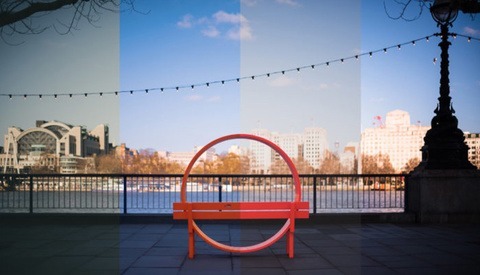 Looks great but for architecture it's a pain to correct the verticals and/or horizontals..